Should You Buy an Electric or Gas Snow Blower? Using a snow blower to clear your drive is infinitely easier than shovelling it, but when it comes time to buy one, how do you know what to get? Buying a shovel is easy; you pick one by color or by material. But a snow blower presents more challenges. In this blog post, we’ll explore the ins and outs of getting an electric or gas snow blower, and which one is better suited to your needs. If you’ve got a short driveway or live in an area that either doesn’t get a lot of snow or gets light, powdery snow, an electric snow blower may be the better bet. Quiet, gas-free and powered by an electrical cord, these snow blowers are designed for light loads and quick clears. A snow blower like the Ariens Two-Stage Electric has a charge time of 45-60 minutes, giving you plenty of time to clear the snow. But while one charge won’t clear as much as a tank of gas, and you do have to mindful of the cord, electric snow blowers are light, mobile and easy to store. You also don’t have to worry about changing the oil or tuning it up like you would a gas snow blower, which definitely translates into a low-maintenance winter. Living in an area like Minnesota or Wisconsin will almost always call for a gas snow blower, a machine that can clear heavier loads. Gas powered snow blowers have an engine inside to literally muscle through wet, heavy snow, making them efficient clearers for anything Mother Nature throws their way. But the power comes with a price: gas snow blowers are loud- really loud- because of their engine, and that engine needs to be cared for on a regular basis. Things like oil changes and cleaning the fuel and air filters aren’t optional, they’re a must if you want to keep your gas snow blower in good working condition. The news is far from bad with gas snow blowers, though, as they’re heavy-duty workhorses that can easily handle blizzards and snowstorms. And with no cord to worry about, all you need to do is fill up the machine with gas and you’re good to go. A snow blower like the Toro Two-Stage Power Max was born for snow, with it able to clear up to 2,200lbs per minute. It also features rugged 16-inch tires, a pivoting scraper to get all the snow, and a Quick Stick control that lets you change both the chute direction and reflector without stopping. And in case you run low on gas or just want to take it out for a quick spin, the Toro Power Max also comes with an electric recoil start. You can’t lose with these promotions from SnowBlowerSource.com! Get the best deals on Ariens and Toro snow blowers, plus extended warranty or money-back promotions. Free shipping on all orders to the lower 48 U.S.No tax on any orders shipped outside of Minnesota. How Should You Clear Snow Safely? There are people out there who are snow-clearing purists and believe that snow should only be shovelled off the driveway. But at Snow Blower Source, we have only two words for them: “Bah, humbug!” Snow machinery has come so far in the time blowers have been around, it’s almost a shame not to use them. And when you take into account how many more people who shovel don’t clear snow safely, suffering all sorts of health-related scares and injuries, well the verdict seems pretty clear to us. When you’re shovelling snow, all that weight can add up pretty quickly. A shovel with wet snow on it can weigh 15lbs, but how many people fill up the shovel with that much snow, empty it, and keep going? With the tendency being to clear a line from Point A to Point B, the weight you’re pushing around will quickly exceed that and it’ll feel like you’re trying to lift a small elephant. Because shovelling snow is like weight lifting, all that work is going to put undue pressure on your back. A better solution is to use either a single-stage or double-stage Toro or Ariens snowblower and let it do the heavy lifting for you. Even though the machines start around 54lbs, there’s a strong engine inside of there that’ll take the brunt of the task. In the cold, your blood pressure and heart rate go up all on their own. Add in the strenuous exercise that shovelling snow brings, and people with medical conditions are doubly at risk. The Heart and Stroke Foundation advises that people who have had a heart attack, stroke or heart surgery not to shovel, citing statistics that people who have died from snow shovelling have usually suffered a heart attack. And here’s where Snow Blower Source once again comes to your rescue. 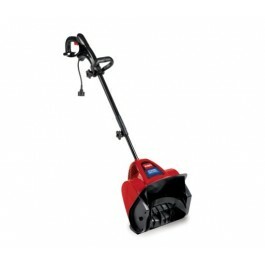 If you’ve got a small property but need to clear snow off your deck, walk or patio, the Toro Electric Power Shovel is just the thing for you. All you have to do is plug it in and go, and keep adding years to your life. And just because we’re that confident in our snow blowers, shipping is free to the lower 48 states! Every winter, millions of excited winter warriors pull out their snow blowers and get to work. And for the most part, they’ll be okay. But every now and then, you hear about an accident in the news involving a snow blower. It’ll probably be a 44-year-old male whose amputated the tips of his fingers; this is what happens 90% of the time. But if you’re careful and remember smart snow blower safety, you should be okay. The easiest thing to do is get everything ready ahead of time. Read your Ariens or Toro snow blower manual, make sure your snow blower’s in good working order, and make sure your three-wire grounded system looks good. And this goes without saying, but make sure you don’t drink or do drugs before you take your snow blower to your driveway. No matter even if you’re using a Single Stage Toro Electric Start, a snow blower that only weighs 58lbs, the heart of a beast beats inside and can do serious damage. Like driving a car, always be on the lookout for what’s in front of you, behind you, and on both sides. The last thing you want to be doing is running over the cord, the signed Denver Broncos football you forgot outside or, worst yet, a child. If you do get the snow blower caught on something, turn it off and disengage the clutch. By cutting power to the machine that’s gotten snagged on something, you’ll be that much more able to check out what’s going on. But give yourself a five second count first to allow the the blades to stop spinning. If there’s compacted snow, use a broom handle to poke it loose. Even though you’ve turned the machine off, a blade can still rotate unexpectedly and possibly hurt you when your guard’s down. The biggest cause of snow blower injuries is the impeller, a little piece of metal in the exit chute that spins really quickly. When snow overloads the chute, the impeller can stop. A curious snow blower will stop the machine, turn it off…and reach in to clear it. Broom stick. Reach it with a broom stick. The most affected group of injured snow blower users are 44-year-old men, with the tip of their middle finger being amputated on their dominant hand (it’s the longest finger). After that, multiple amputations are next most common, followed by general amputations and avulsions. This winter, Snow Blower Source wants you to be able to enjoy your Ariens or Toro snow blower, but we need you to be alive and uninjured. Just take a couple extra minutes to make sure you’ve got good snow blower safety going on and enjoy working the best snow blower on the planet. As the mowing season winds down, it’s time to think about how you’re going to keep the driveway clear when snow flies this winter. If you’re looking for the best deal on a snow blower, head over to SnowBlowerSource.com, our partner store, for can’t-miss Ariens and Toro snowblower promotions. See below for details! Any Ariens 2 stage snow blower purchased between August 1 and November 15, 2013 will receive a free 5 year warranty! This is an upgrade from the standard 3 year warranty offered on Ariens snowblowers. For a limited time only, receive a free warranty extension from Ariens from the standard 3 year warranty to an unbelievable 5 year warranty! All Ariens 2 stage Snow-Thro® models qualify (Sno-Tek™ and Path-Pro™ excluded). Includes all qualified, registered purchases from August 1, 2013 through November 15, 2013. Customers must purchase and register their snow blower during the promotion timeframe. 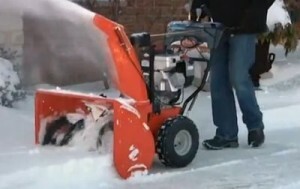 Afraid that you’ll buy a snow blower and then it won’t snow much this winter? Put your fears to rest with Snow Blower Source’s Toro promotion. 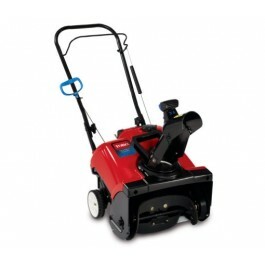 If it snows 10% or less of the average for your area, you will receive the promo price of your machine back! If it snows less than 50% of the average for your area, you will receive a 10% refund of the promo price. Any Toro snow blower purchased and registered between August 1 and November 15, 2013 is eligible for the promotion. 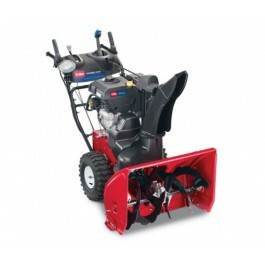 You can’t lose with these promotions from SnowBlowerSource.com! Get the best deals on Ariens and Toro snow blowers, plus extended warranty or money-back promotions. Free shipping on all orders to the lower 48 U.S.! No tax on any orders shipped outside of Minnesota. Unfortunately, the day hasn’t yet arrived when you get use your snow blower, stow it in your garage for the warmer months, and have it working like it’s brand new next year. Until that happens, you, my fellow intrepid snow warrior, must give your Toro snow blower a little bit of love. You could probably just use your two-way snow blower in one direction, and you could probably even rewire some doohickey that’ll allow the snow to blow out of a different hole. But when it comes to your engine, the heart of the machine, there’s no getting any related problems. Keeping your engine oiled (and keeping the oil clean!) is one of the easiest ways to prolong the life of your engine. But don’t forget about your spark plug, either! This little piece is vastly under-appreciated but hits high above its weight in importance. The part most responsible for keeping all the little pieces together, your Toro snow blower belt should be in good working condition for it to clear snow effectively. This is one part that people tend to neglect until it’s too late, but that’s okay- you’re obviously not one of them if you’re reading this! If you notice your Toro snow blower isn’t clearing snow like when you first bought it, check your belt for wear and tear. Many people wait until it’s broken which is bad. Show your neighbors you know a thing or two by changing your belt regularly. Such a fancy title for such a simple, yet such an essential component area of your Toro snow blower, Einstein even came up with an equation for it. The math is a little tricky, but it essential means that the more you put the bottom of your snow blower into contact with hard ground, the more it’ll wear out. Ever wondered why, other than outgrowing them, you have to replace your shoes? It’s because the constant contact with concrete scrapes a bit of the sole away little by little until holes appear. The scraper bars and paddle kits are the same, and need regular replacement. Unless you’re one of the lucky few with a perfectly level, perfectly smooth driveway, your snow blower is liable to veering and lurching into the cracks…unless you’ve got skid shoes! Heavy duty and designed for wear and tear, skid shoes help you regain a sense of control when clearing snow. With this one, you’ll have to rely on timing more than sight because if you go with the latter, you run the risk of scratching up a pretty driveway surface. When the skid shoes start to go, so does your driveway surface. Change them regularly and keep your driveway looking smooth and new.